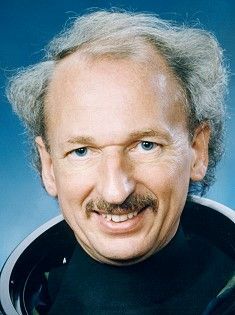 Belgian engineer payload specialist astronaut 1985-1992. First Belgian astronaut. Status: Inactive; Active 1985-1992. Born: 1941-03-21. Spaceflights: 1 . Total time in space: 8.92 days. Birth Place: Poperinge. BIRTHPLACE AND DATE: Frimout was born on March 21, 1941 in Poperinge, Belgium. EDUCATION: Diploma as electronics engineer, 1963. Doctorate in applied physics, 1970 from the University of Ghent. Post-doctorate work at the Laboratory of Atmospheric and Space Physics, Colorado, 1972. EXPERIENCE: Frimout worked at the Institute of Space Aeronomy of Belgium until 1978. He became an astronaut candidate in 1977. Frimout was selected in 1989 for Shuttle Flight STS-45 (the ATLAS-1 mission). Fifteen years later, he was the first Belgian in space, on board the Atlantis shuttle on March 24, 1992. was responsible for the European scientific experiments carried out on board Atlantis. This ATLAS-1 mission of earth observation was completed on April 2. Frimout was also the Alternate Payload Specialist to STS-61K, Mission EOM-1/2. Dirk Frimout carried out his dream, to fly and float in space. His exploits raised the enthusiasm of all Belgians. He was made a Grand Officier de l'Ordre de L�opold and also received the title of Viscount. Frimout returned to Belgium and directed a team of researchers in the field of telephony at Belgacom. Family: Astronaut. Country: Belgium. Flights: STS-61-K, STS-45. Projects: STS. Bibliography: 5402. 1941 March 21 - . Birth of Dirk Dries David Damian Frimout - . Nation: Belgium. Related Persons: Frimout. Belgian engineer payload specialist astronaut 1985-1992. First Belgian astronaut. 1 spaceflight, 8.9 days in space. Flew to orbit on STS-45 (1992)..